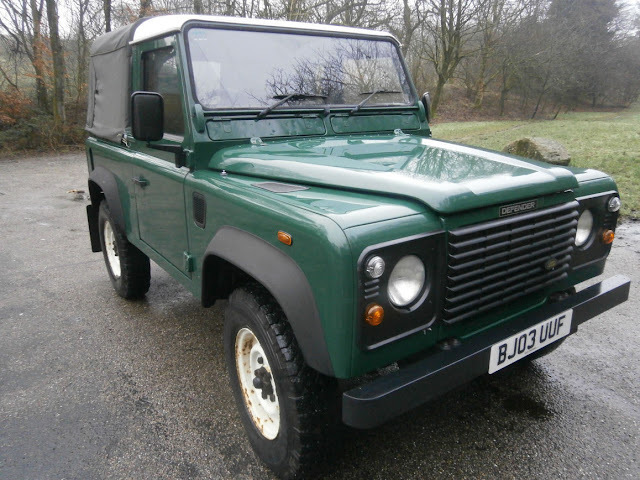 This is a rare opportunity to acquire an absolutely superb Land Rover Defender 90 Td5 pickup, first registered on 27/03/2003. This Landy is totally unmolested and original. It has been family owned from new and covered only 21,000 miles yes 21,000 miles!! The regularly waxoyled chassis, bulkhead and rear cross member are all A1. Both the bodywork and paintwork are exceptional and the interior is unmarked with absolutely no signs of wear whatsoever. The seats are perfect as is the roof lining etc. She starts on the button and drives like a brand new Defender. The beauty of this particular model is its simplicity, no air con, ABS, power windows etc etc that eventually go wrong! It is a very very traditional looking Defender and looks lovely in its traditional green with white wheels..... a proper Landy. It is equipped with 2 seats and a central cubby box, immobiliser a contrasting as new canvas rear canopy and the best Sony sound system Ive ever heard in a Landy. 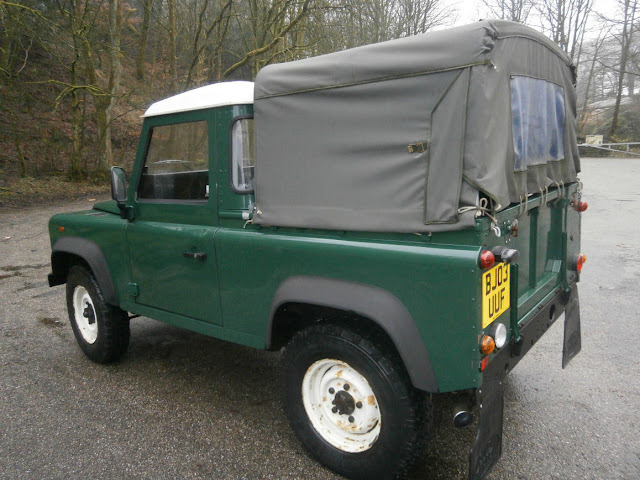 This is a superb Defender pickup, both practical and collectable and if looked after will only increase in value. Unfortunately, it wont be the cheapest on ebay but you really do get what you pay for with a Land Rover especially nowadays. 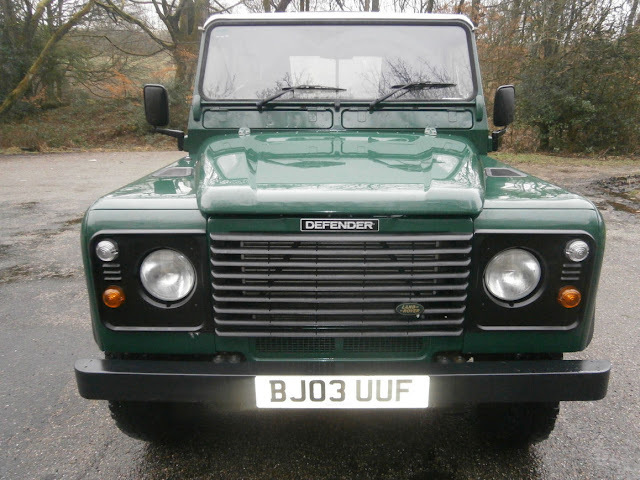 If you are looking for an as new as you can get Defender pickup....here she is! Find another! If you have any questions whatsoever, please feel free to phone me on 01204 465235 anytime up until around 10.00 in the evening. 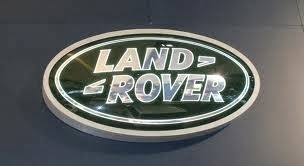 The Land Rover is situated in Bolton, near Manchester and delivery or collection from Bolton train station can easily be arranged if required, good luck.